Wow! Thanks going out to Vancouver’s Cassandra Anderson from the popular blog Good Life Vancouver. 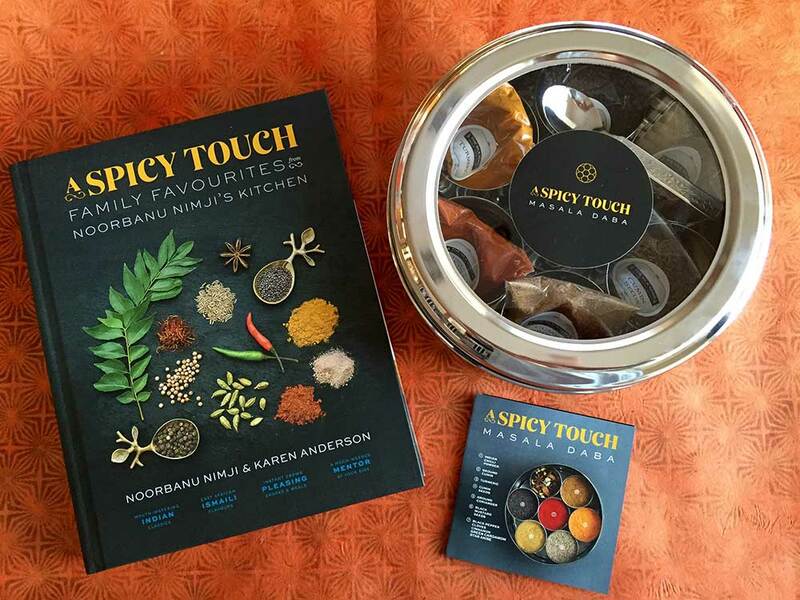 She just named our A Spicy Touch – Family Favourites from Noorbanu Nimji’s Kitchen as one of her affordable Mother’s Day presents on Vancouver’s Global News. What a great idea! Noorbanu’s a Mother and Grandmother who has been helping Moms all over the world learn to make their favourite Indian dishes for over 40 years. I joined Noorbanu 10 years ago to recipe test and teach with her and our new book has the clearest instruction possible and lots of mentor’s tips from Noorbanu that really make the difference. Check out our blog post on all the independent stores that sell our book or order one online now at Chapters Indigo or get the book and the matching spice box from The Silk Road Spice Merchants. Both have North America-wide delivery and Chapters Indigo also ships to the U.K.